Is your business sign losing its spark?With new signs approaching every day, it’s obvious that with new signs will out shine yours but don’t lose hope as the premier sign makers from London can solve your signage issue perfectly. Come and explore your signage options at All London Signs, the ultimate destination for all your sign making. Crafting exclusively bespoke signs with the best materials gives you an opportunity to discover something amazing to upgrade the look of your business. The unmatched style and peerless craftsmanship of our professional sign makers enable you to upgrade the look of your business that attracts customers instantly. The best techniques can tailor for any requirements of customers with top-quality materials. Exclusive range of materials is used to make the signs that include metals, polycarbonates, Perspex, plastics, composites, vinyl’s, wood and glasses. Unmatched style and correct fabrication are used by the skilled craftsman to make your signage complete. Our undivided attention to each client makes us the pioneer sign makers in London. 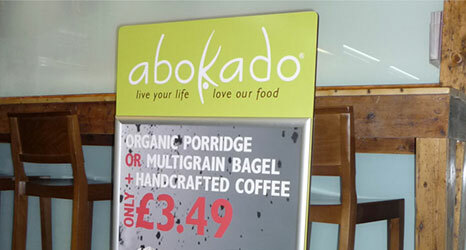 No matter for what purpose you need bespoke signs, we provide signs for all shapes and sizes as well as for any occasion. Among all other signs, we also provide Window graphic signs, LED signs, Illuminated signs, Architectural signs, Shop front signs to Neon signs, a banner for school and theatre or you just need a comprehensive corporate sign. Our impressive work creates a high-impact promotion of your business by grabbing the attention of potential customers. Each sign comes with beautiful as well as unique colors that combine creativity along with personalized requirements. So, make your business more visible to the public and attract more customers towards it. Simply, call All London Signs and get a hassle-free service.